When my days as a rock star wannabe ended in 1971, I was squirmy. I had a couple years of college under my belt, and I probably could have gone back to finish, but to be honest, that didn't sound so good. Also, I already had one daughter, and another on the way, and we all needed me to have some kind of income. And I was pretty sure I could come up with something that would actually pay me a decent wage and maybe even get some health benefits. Eventually, after a stint as a "sanitation technician" at General Telephone in Kirkland, Washington, I hired on with Safeway as a baker's apprentice. For the next several years I worked at Safeway, and also other bakeries around Seattle, owing to the fact that my boss/teacher at Safeway, Karl Ekelmann, was a well known and awesome scratch German baker with connections, and he helped me get some other baking gigs on my days off, where I could learn other things we just didn't have time to explore at Safeway. But the music in my brain never stopped. And hasn't to this day. I didn't really have time or the money to do any recording in those days, but eventually, I acquired a little recording set up, a 4 track Tascam cassette recorder, of surprising quality, a mic, mic stand, cheesy drum machine, and a little keyboard. And of course a couple guitars. With that minimal equipment at least I could record to tape a song I had written, which didn't happen too much during the bakery years, but I did have fun taking a song to some kind of completion when I could squeeze such a project in. 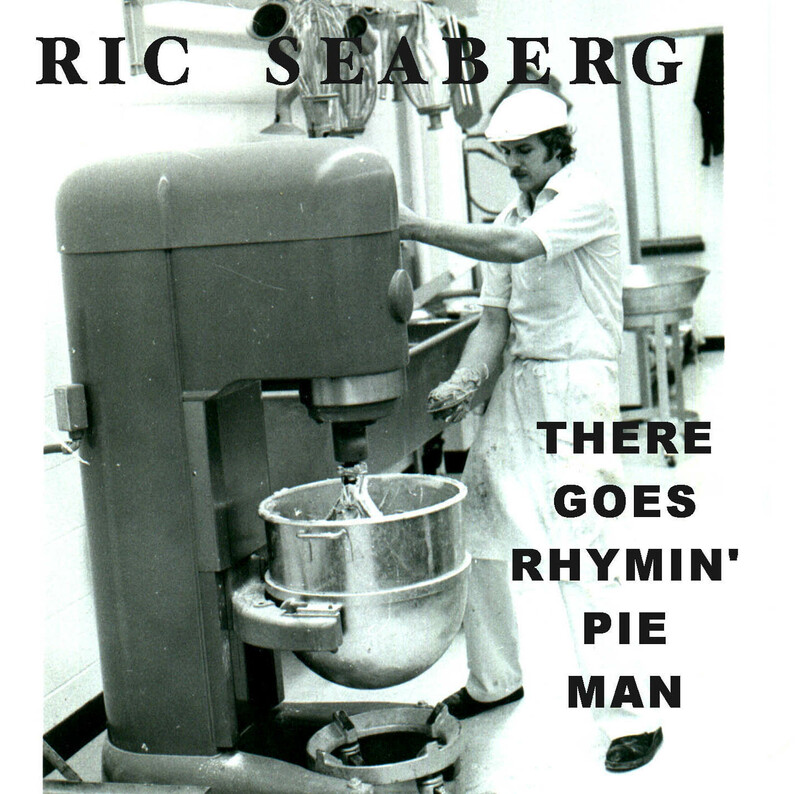 And when I built my first bakery, in 1975-76, in Tualatin, Oregon, I had even less time for music! Lately, as Marie and I have waxed on about on Facebook and on our blogs, we have been "purging" old unused items from our home, trashing some stuff, donating some stuff, and basically regrouping with regard to which of our saved items are really worth keeping at this time. We have a plan, owing to Marie's reading of The Life-Changing Magic of Tidying Up: The Japanese Art of Decluttering and Organizing. First we got rid of clothes, that was easy, and kind of got us into the swing of things. Then we did paper. Man it is so nice to purge completely moot stuff from one's files, like financial records and cancelled checks from eons ago, and documents and records one absolutely no longer needs. Or wants. Suddenly my 4 drawer file cabinet isn't stuffed at all. In fact there are 2 completely empty drawers! And the 2 drawers that have file folders in them are current and neat! So after purging the clothes and paper, and other stuff, according to the book, it is best to do memorabilia last, cuz that's the hardest. I mean, I have got an absolute ton of keepsakes, photos, letters from my Uncle Chick to my Mom during the war, (beautifully written), childhood stuff, omg it is endless. But you know I think I am ready to discard my report cards from 3rd grade, even though it's kind of fun to see on every report card from every year that Ricky tends to be very talkative and easily distracted. And I am also capable at this time to let go of much other once meaningful keepsakes, jewelry I was once fond of, maybe 24 watches, and those 2 complete sets of Desert Storm bubble gum cards. Which I bought because I just thought it was so completely bizarre. And because I wanted to send a complete set to my buddy Randy McCullough because I knew he would love them. And then I found 5 full file folder boxes of cassette tapes in the back of my closet, all my old musical efforts, which included, as I have often mentioned, a good percentage of what I refer to as the 9000 infinity crappy songs I have written. Ok they gotta go. But maybe there is some gold in these boxes, better listen to the tapes. That part was kinda fun. I am very glad that I have had music in my life forever as my personal form of artistic expression. When I hear the old songs, even if they are not particularly good, it's like listening to my life history in a way. Sometimes, I was just trying to write a good song, and didn't really have a huge connection to the lyrics, personally. But other songs are all about me, what I was going through in my love life at the time, ok maybe not exactly what was going on in my life, but I can certainly remember why I wrote a certain lyric, and honestly, I feel very lucky to have basically recorded a lot of my life in song. So as I meandered my way through the boxes of tapes, I found a few that I wanted to save, try to restore. I mean just put some tapes in the back of your hot in the summer and freezing cold in the winter closet and see what kind of condition they are in 30 years later. But I still like a few of the songs, it makes me happy to hear them, so sharing. Here's a link to a page on my website that contains the old songs I am talking about, and I have added a little "story" explanation on most of them, if you care to take a listen. Thank you for your time.